Noeleen Finnegan travelled to Northern Ireland from the Republic for treatment under the Cross Border Healthcare Directive. THE prospect of waiting at least two years for a life-changing operation which would help her walk again devastated mother-of-four Noeleen Finnegan. The 58-year-old had not long survived major heart surgery when she found herself suffering from crippling pains in her legs that made it impossible for her to put on her own shoes. Tests revealed she needed both her hips replaced but, without health insurance, she was facing a further 15 months on a public hospital waiting list in the Republic of Ireland, nine months after first being referred in March 2017. Then Noeleen’s GP in County Monaghan told her she could apply to have the procedure done in Northern Ireland – or any other European country - under her rights as a European citizen. She would have to pay for the surgery upfront but the Irish health service would reimburse her if she was approved for the treatment. Within weeks of an initial consultation at Kingsbridge Private Hospital in Belfast, Noeleen was back in the city to have the first of two hip operations in July 2018. Noeleen, who lives outside Castleblayney with her husband and two of her children, said: “I thought it was brilliant. It took a lot of stress off me and off the family because they were looking at me every day struggling. I couldn’t put on my socks and shoes. 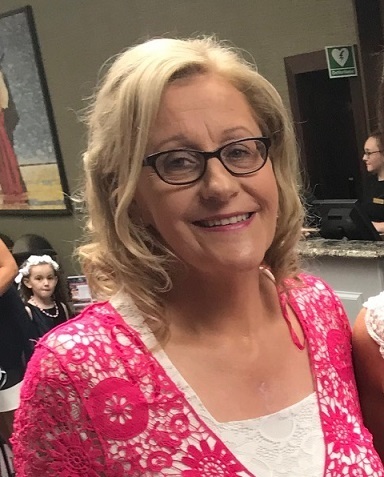 With the help of family and bank loans, Noeleen raised the £9,850 it cost for one hip replacement operation at Kingsbridge Private Hospital and earlier this month she returned to Belfast to have the procedure done on her other leg. However she is concerned that the UK’s withdrawal from the European Union will mean people living in the Republic of Ireland will have to travel much further afield in future to improve their quality of lives amid long hospital waiting lists south of the border. Noeleen said: “[The Cross Border Healthcare Directive] is such a great system. I know a couple of people who have used it. When I think of Brexit, I don’t know what will happen. I’m thinking of other people in the same situation as me, in so much pain. I think it will be awful. Noeleen received her treatment under the Cross Border Healthcare Directive. Click here to return to the main story on EU healthcare.